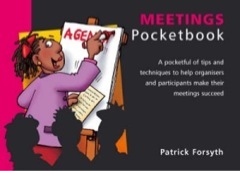 The Meetings Pocketbook reveals all the do's and don't's needed to make meetings successful. Covers advance preparation, chairing, controlling discussions, effective participation and use of minutes. Essential reading for both organisers and participants. 'Don't arrange or attend another meeting without reading it', recommended one reader. A 'straightforward reminder of the rules' said another. and a signed copy will be sent promptly. Postage is free in the UK. If you are overseas and cannot source a copy of a title locally drop me an email and I will quote you a mailing cost. An automated ordering system will be added to this site shortly. 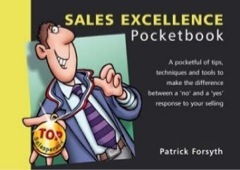 The Sales Excellence Pocketbook presents key techniques to help maximise the effectiveness of your next sales meeting. The Sales Excellence Pocketbook explains how to make the right initial impression, how to discover customer needs, how to present the best possible case and, crucially, how to close successfully. Also gives tips and techniques on how to prepare for the sales meeting and how to follow-up effectively. The Journal of International Selling and Sales Management said of the book: 'A very practical guide to adapting the sales approach to specific customer needs. This Pocketbook could be regularly used with advantage by anyone engaged in selling'. The Negotiators’ Pocketbook is a bestseller in this unique series. 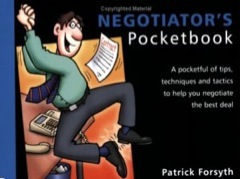 Negotiation is a skill that you need to learn and practise; The Negotiator's Pocketbook will help you do both. A quickly assimilated, comprehensive guide to the negotiation process, it covers the fundamentals of negotiation, preparation, essential techniques, managing the process and interpersonal behaviour. 'It's the sort of thing you should keep in your car and reread in the car park just before going into a meeting', concluded one magazine reviewer. 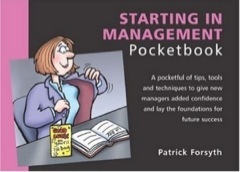 The Starting in Management Pocketbook recognises that there is only one opportunity to make a good a start and will help new managers do just that. Central to the book are team skills - creating staff loyalty and commitment, building working relationships that are constructive and creative, and forging teams that are successful. The author begins by defining management, identifying the skills required and highlighting the different styles of management. The importance of reconnaissance and preparation prior to taking up the post is then dealt with before spotlighting the key issues facing managers on day one in the new job. 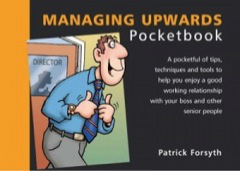 The Managing Upwards Pocketbook shows how to get the best from your working relationship with your boss and other senior people. It begins by looking at what makes a good boss and what drives the relationship - from both the subordinate's and the boss's perspective. There is advice on how to build a partnership that is constructive, straightforward, trusting and mutually beneficial. Under the heading 'working to create impact' the book deals with such matters as taking a brief, objectives and targets, using timings and deadlines to advantage, and progress reports. Subsequent chapters detail how to communicate with senior people (including listening to each other), how to get agreement and how to handle difficulties such as poor information flow, broken promises, the 'leave it to me' syndrome and more serious issues such as bullying and sexual harassment. Job appraisals, are dealt with too.